Since I’ve already used the best view from my flat window as my entry for ‘night’ I chose the view from my car window instead. I don’t ‘do’ traffic. As someone whose regular commute means driving outside of rush hour, and has done so for over eight years, I have completely lost appreciation for the concept. Until tonight. Today is mine and the Boyfriends anniversary, and as I am working tomorrow and leaving home at 5am so our celebration meal was planned a little earlier than usual. 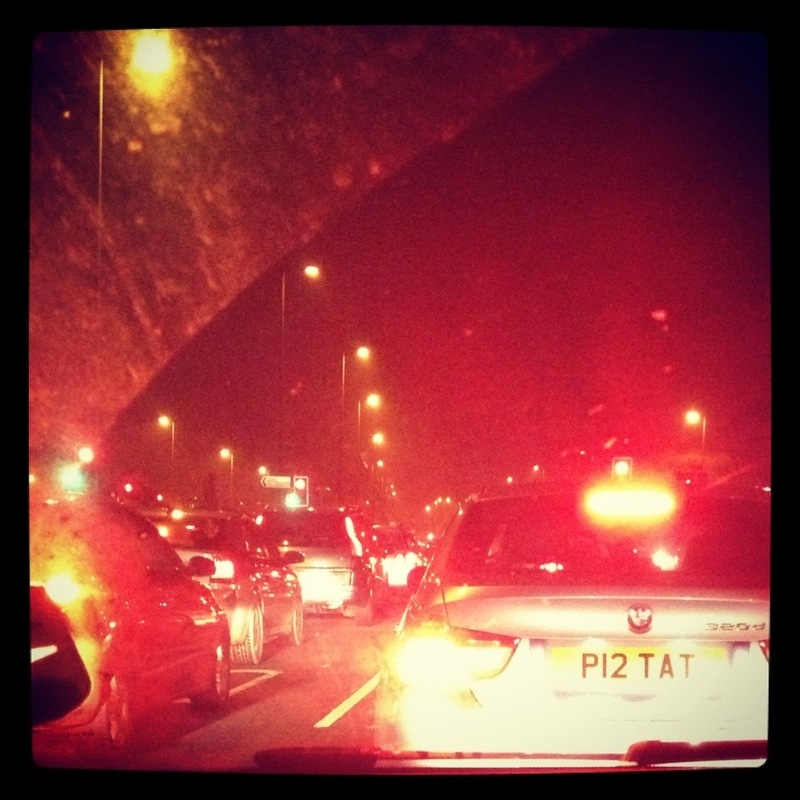 This meant an awful lot of traffic, an hour to complete a 13 mile journey….